Getting people and equipment to the Moon is extremely expensive. To make the most of it, we need to do our homework before we get there. To help prepare astronauts for a longer return trip, the European Space Agency (ESA) has outlined a new facility that will recreate the lunar surface as accurately as possible. Named Luna, the new facility will be built at the ESA Astronaut Center (EAC) in Cologne, Germany, and will simulate the satellite’s surface as realistically as possible. That means an area of 1,000 sq m (10,764 sq ft) of simulated Moon dust, plus a habitat that’s powered by the kinds of energy systems that would be most practical for lunar visitors. That dust is trickier than it may sound, it isn’t just a nuisance, it’s downright dangerous. 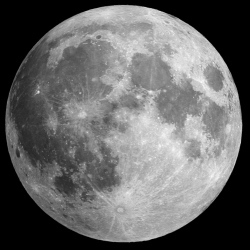 Through a lack of water, oxygen and microbes, Moon dust particles are very fine and sharp, while constant bombardment of radiation from the Sun makes them clingy by giving them a static charge. To make sure we’re thoroughly prepared, ESA scientists have been working on creating a simulated version of the stuff using more local ingredients. The closest thing seems to be volcanic powder from the nearby Eifel region in Germany, which can be ground into a fine powder that mimics many of the properties of lunar dust. Researchers are experimenting with whether this dust will be suitable as a building material for habitats, roads and the like, reducing the launch load for the first Moon settlers. potential energy system would also be tested at the facility. The best source of energy on the Moon is the Sun. The idea is that photovoltaic panels will tap into that, not just for astronauts’ direct use but also to split water into hydrogen and oxygen. Those elements can then be recombined in a fuel cell to see the settlers through the two-week-long nights, when solar energy isn’t available. The final piece of the puzzle, the lunar habitat, hasn’t been decided upon just yet. ESA expects that the first designs for the project, known as the Future Lander Exploration Habitat (FlexHab) will be ready by the end of the year. "The Moon is a major focus for ESA and the next step for human exploration," says Andreas Diekmann, project manager for the Luna facility. "Developed in partnership with DLR, Luna will help us build our expertise, prepare for missions to the Moon and provide a platform for researchers across Europe to test technology and procedures."